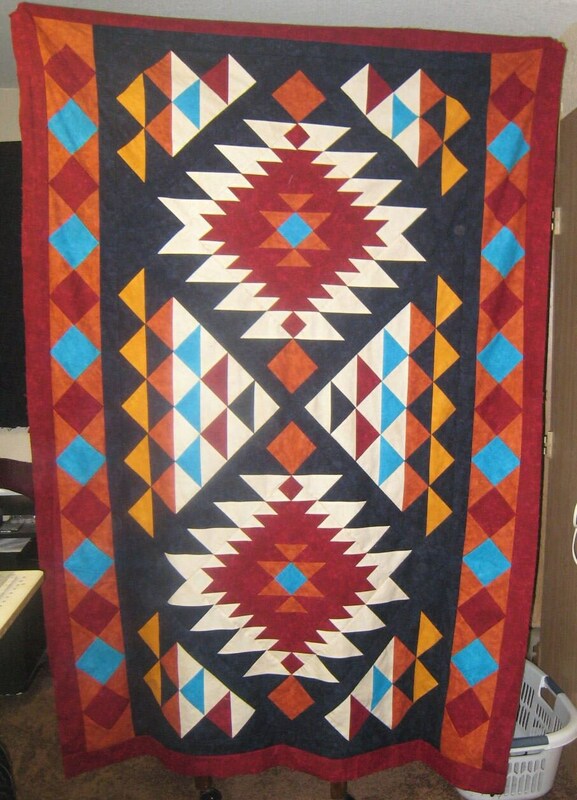 I find the Southwest style timeless and beautiful. 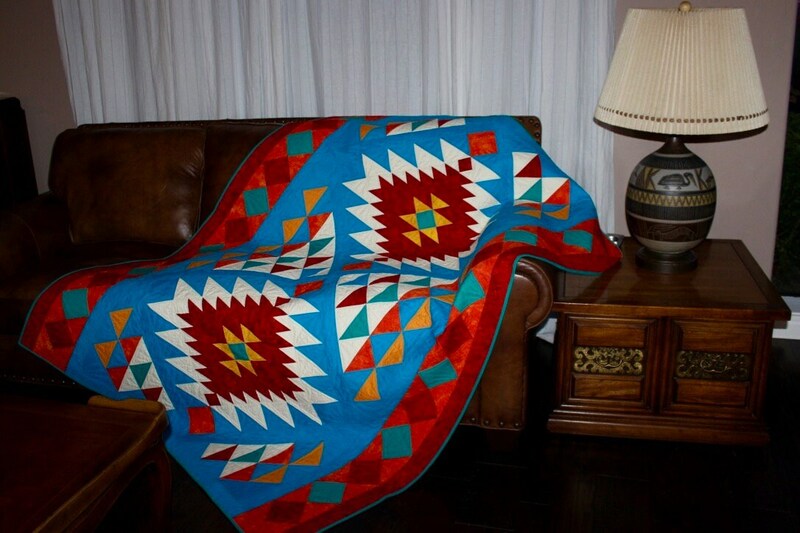 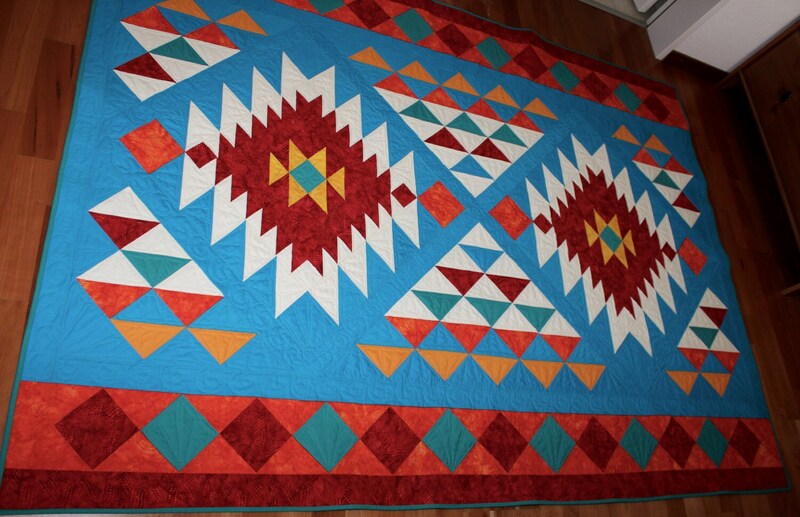 The main block in the quilt is based on the design of a woven blanket made by an American indian woman, called Myrtel. 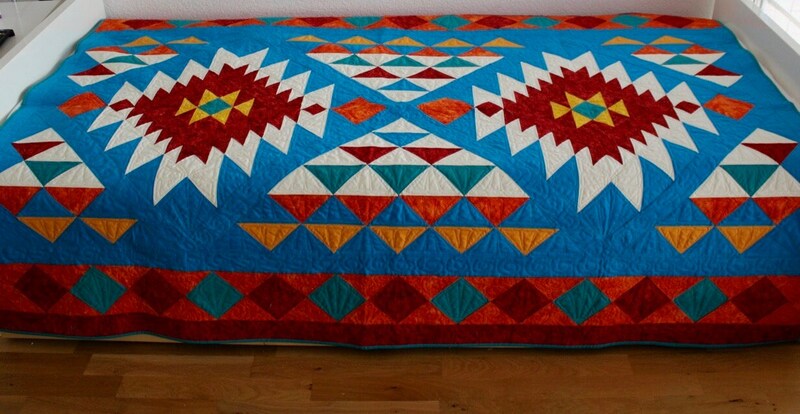 I recreated the design and added matching background and border. 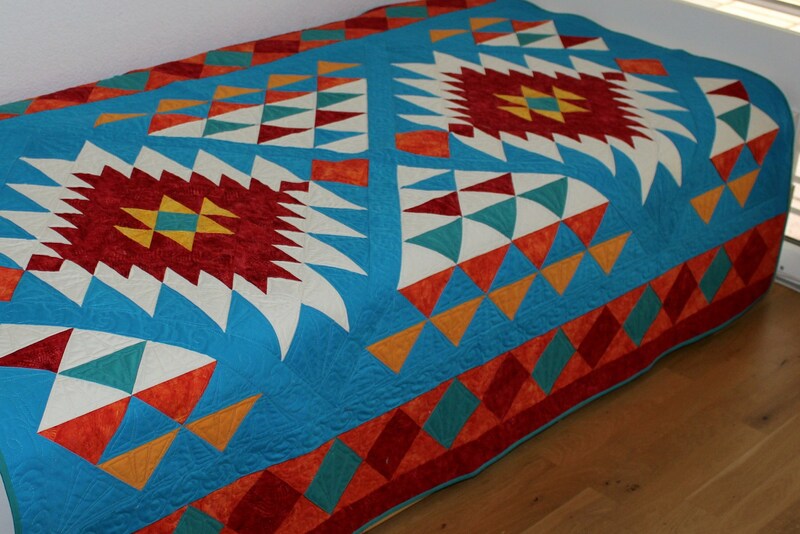 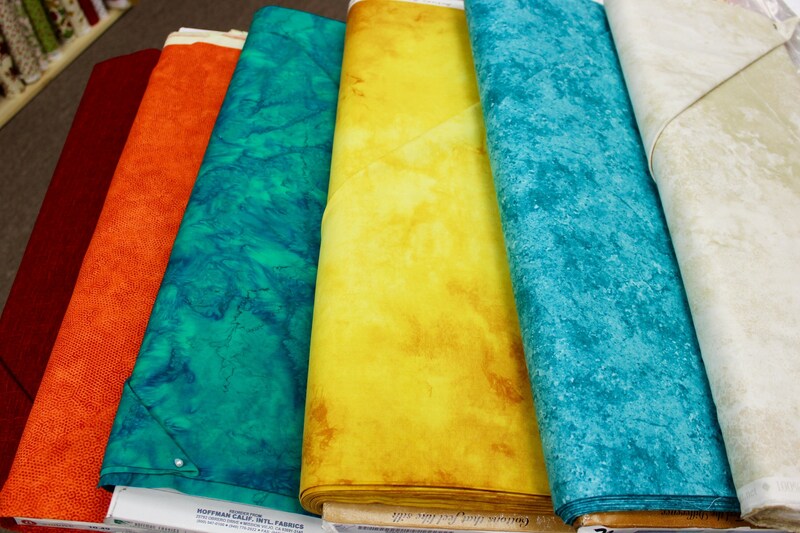 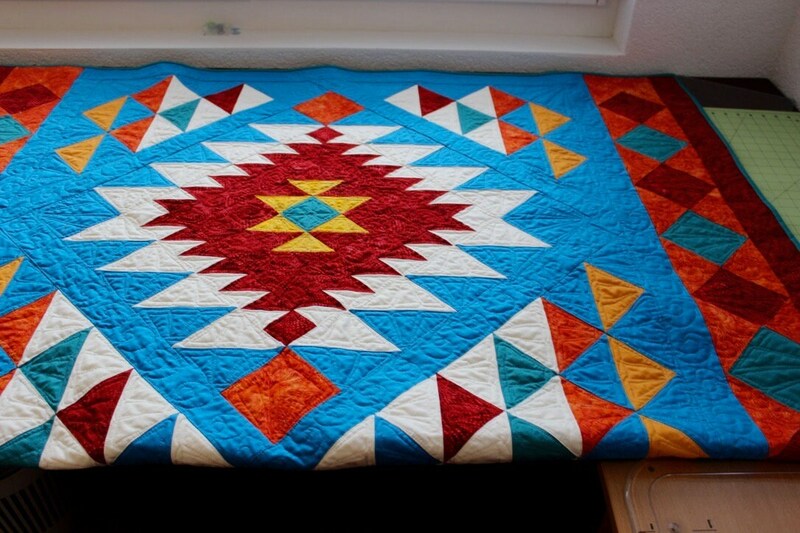 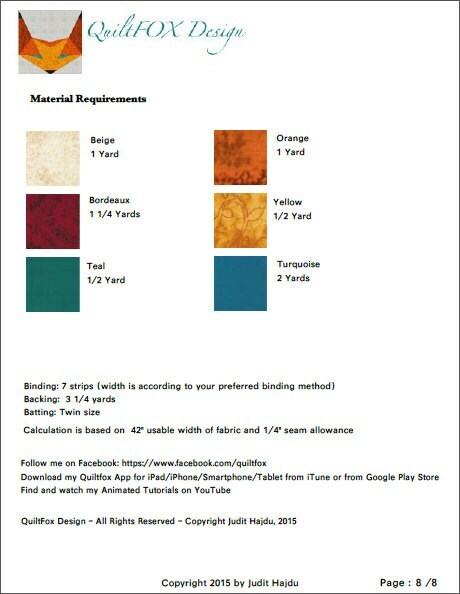 My pattern will guide you through the whole process of making this beautiful quilt. 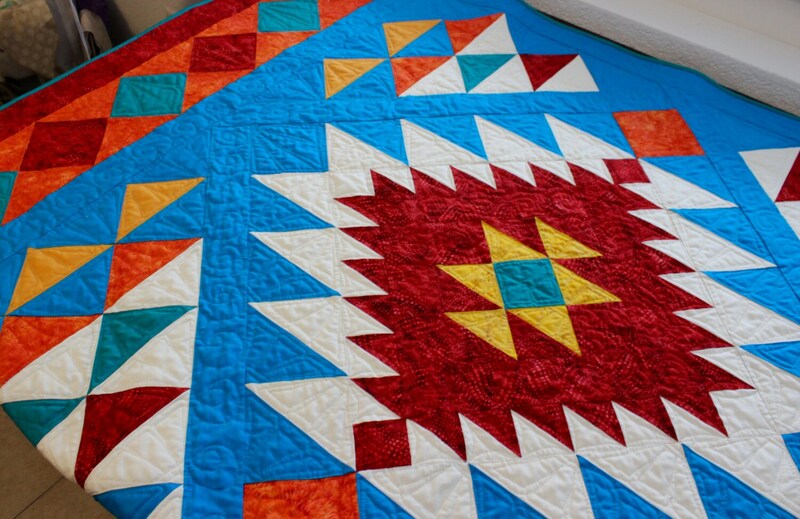 - Link to my Animated Half-Square-Triangle Tutorial on YouTube to create easily the Half-Square-Triangles you need for this quilt.